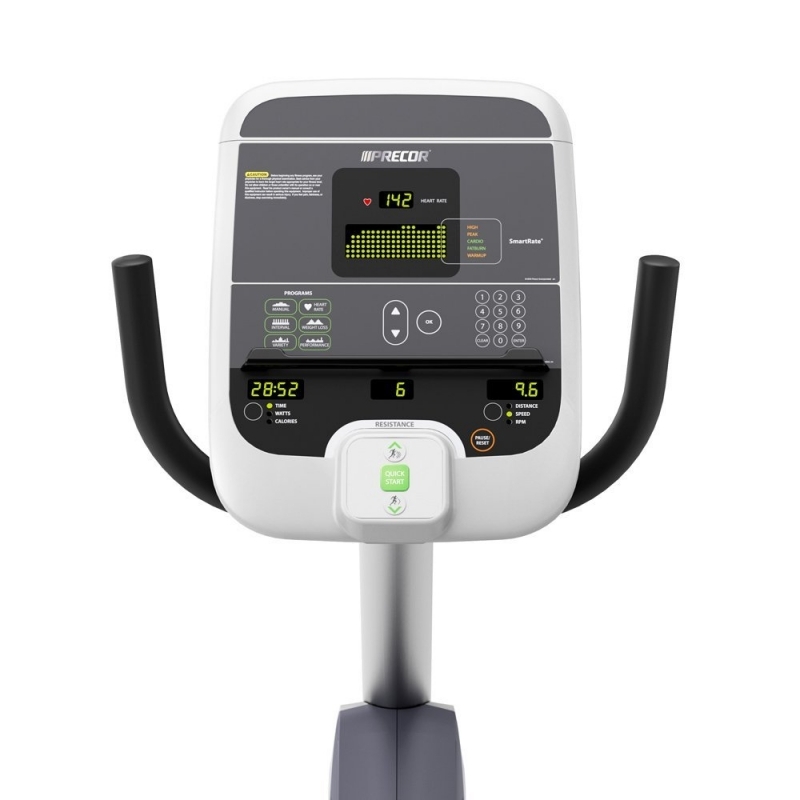 The new Precor RBK 615 Recumbent Bike will give you a great low-impact cardio workout at home. 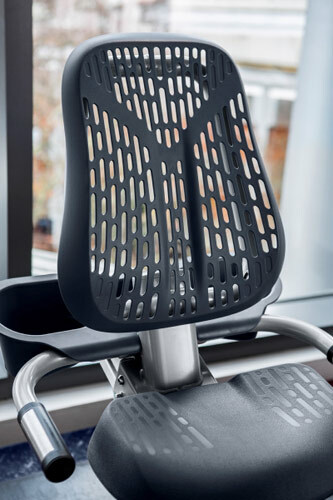 This commercial series bike is used in hotels, spas and training facilities worldwide, and is now available for in-home use. Precor rejects the notion that a home workout sacrifices quality for convenience. To us a workout is a workout, and the RBK 615 fits this philosophy perfectly. The Precor RBK 615 Recumbent Bike has an easy-to-use and durable display with 6 preset workouts, 25 resistance levels, touch sensor and wireless heart rate monitoring with SmartRate® to keep you in your target heart rate zone, step-through design with an ultra-comfortable air-flex ventilated seat and is biomechanically engineered for efficiency and comfort. The pedals can be replaced with your own for a custom feel and ride. 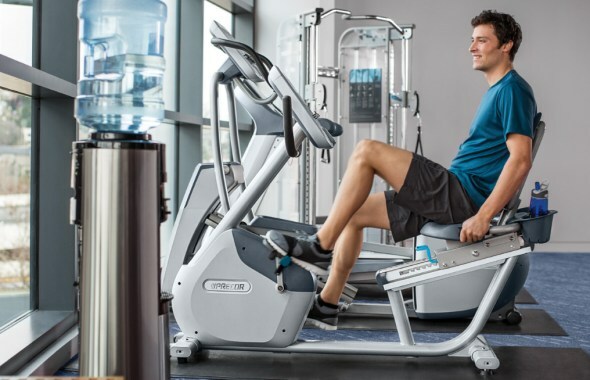 Precor Bikes provide an extremely low-impact and efficient cardio and leg muscle toning workout. A key to this is achieving the best fit for you and everyone who will use the equipment. We use the K.O.P.S. (Knee Over Pedal Spindle) principle accepted as a standard fit technique among serious cyclists. This means that when the pedal cranks are horizontal, a plumb line straight down from the front of your front knee should intersect the spindle of the pedal. You can achieve this by simply adjusting the saddle forward or back. 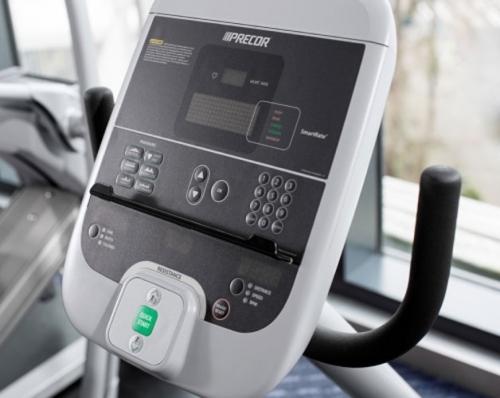 Getting the most out of your workout on your Precor RBK 615 bike starts with your pedaling technique. On each pedal stroke you should concentrate on spinning smooth circles applying equal force throughout the circle. This means pulling up on the pedals as well as pushing down. Call 1-800-875-9145 to speak with one of our fitness advisors with any questions you may have. Go to FitnessZone.com to order your Precor RBK 615 Recumbent Bike! 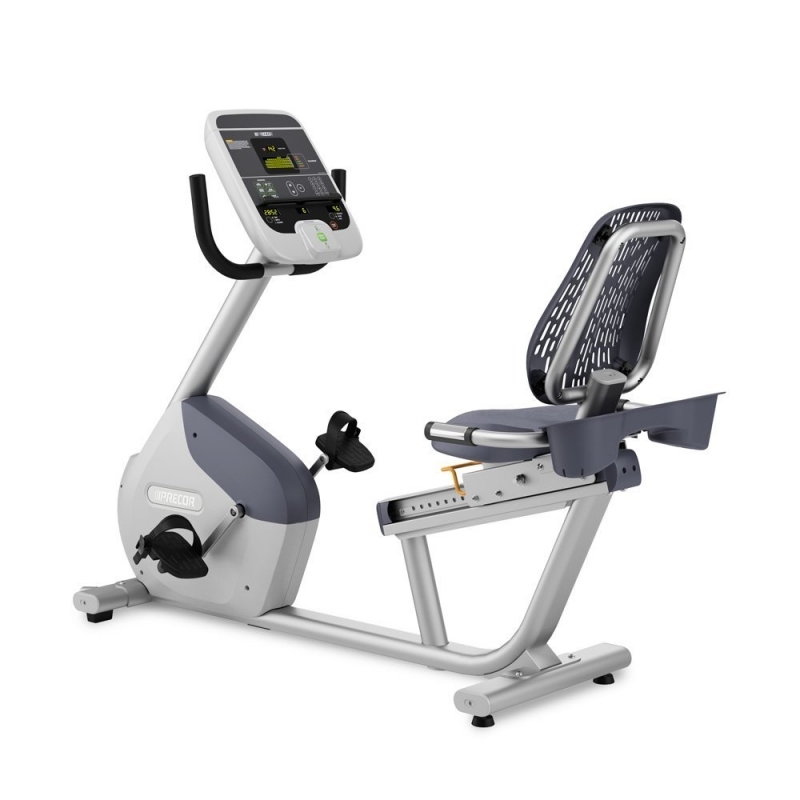 Order your Precor RBK 615 Recumbent Bike from FitnessZone.com today!